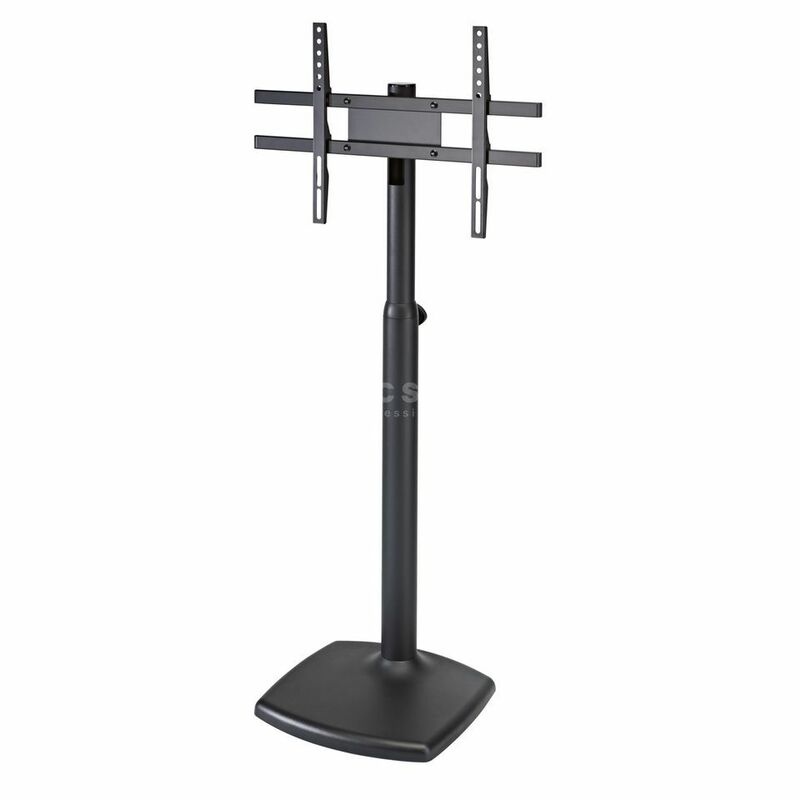 The K&M 26782 Computer Screen/Monitor Stand is a high-quality and sturdy steel screen/monitor stand suitable for mounting VESA Standard 24” to 46” flat screens. A representative screen/monitor stand with a beautifully designed heavy cast iron base; the assembly accessories provided with the product allow one to set up according to the VESA Standard for 24" to 46" flat screens. The large tubing saves space by providing a place to organize and store the cables. The height can be adjusted in steps using an ergonomic height adjustment screw.